Supra-Cell Durafort for racing pigeons; Stress stabilizer, organ system stimulant, performance function regulator. 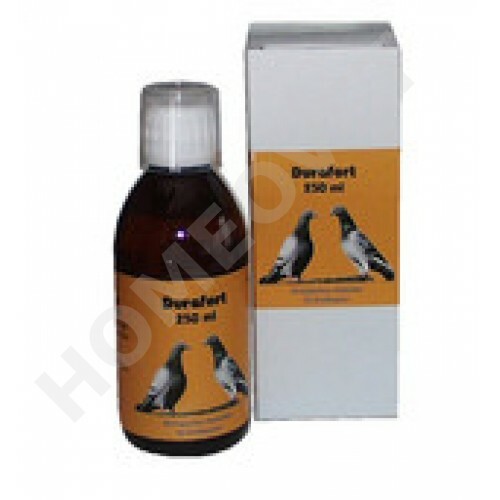 Durafort has a long-term effect and helps the perseverance ability in a natural way. With success the medicine therefore is administered shortly before the required top performance. For 20 pigeons 1 teaspoon in the daily amount of drinking water (about 1 liter). Per pigeon 2-3 drops in the daily amount of drinking water or by pipette (diluted in water) directly onto the tongue.